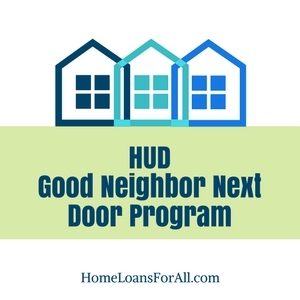 Have you heard of the HUD Good Neighbor Next Door program? Individuals who qualify are extremely excited about the potential savings that this program represents for their families. With discounts as high as fifty percent on eligible properties, you might just be able to score the house of your dreams for a real bargain. Home buyers who are ready to save money on their next house should have a thorough understanding of HUD and the programs it offers to see if they could benefit from these savings. HUD stands for the Department of Housing and Development, a branch of the federal government. They come into possession of many single-family residences and properties as a result of their connection with the Federal Housing Administration (FHA) mortgage program. The government agrees to back these loans for private lenders in order to make homeownership more accessible for the general population. However, the federal government often comes into possession of these properties if and when they move into foreclosure. HUD attempts to sell the properties through their HUD Homestore in order to recoup the losses they incurred on these foreclosed houses. Anyone can purchase these homes, as long as you have the cash or the financing available to cover their cost. However, they also offer some extremely advantageous programs to make these properties even more affordable. Pre Qualify for the Neighbor Next Door Program Here. What is the Good Neighbor Next Door Program? The Good Neighbor Next Door Program offers single-family properties in revitalization areas to individuals of certain professions at a fifty percent discount. In exchange for this steep discount, the owner must agree to live in the property for a full three years. During this time, the government will hold a second mortgage on the property for the other half of the home’s cost. This is often referred to as a “silent mortgage.” When you have completed your residency requirements, the second mortgage is dropped and you officially own your home. Within this set of parameters, you must be employed full-time by a federal, state, county, parish, municipality, Indian tribal government, division of local government, or a state-accredited private or public school. The property you select must be eligible and it must be located within the areas serviced by your employer. In order to be eligible for the Good Neighbor Next Door program, you or your spouse cannot have owned a home within the past year or currently own a home. You may only purchase one home through this program or through the previous program known as Officer/Teacher Next Door. What kind of properties are eligible? The Good Neighbor Next Door program allows eligible individuals to purchase specific single-family properties in revitalization areas. These areas are determined by Congress under the National Housing Act in order to offer more homeownership opportunities. The location may qualify for this status due to household income, home ownership rates, and FHA-insured mortgage foreclosure rates. The best thing you can do is to go ahead and provide some of your information to be matched with eligible properties in your area. You can sign up to receive alerts and to be connected to a real estate professional on the HUD Good Neighbor Next Door website here. Submitting your information also allows them to help determine your eligibility prior to becoming involved with bidding on the available properties. If you believe that you may still eligible for a HUD Home even after receiving a denial, there are asset managers available to help review your unique case and application. Where do I find the Good Neighbor Next Door listings? This has a specific option for Good Neighbor Next Door buyers that allows you to see if there are currently any eligible properties listed in your desired area. 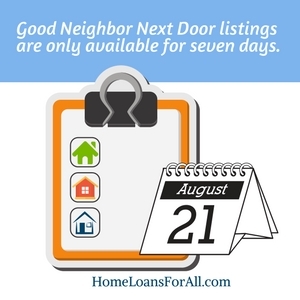 Keep in mind that these Good Neighbor Next Door listings are only available for seven days. At the end of seven days, one bid is randomly selected through a lottery-style drawing. You will need to start talking with a lender now in order to become prequalified for financing. This is a requirement in order to submit bids because you will need to be prepared for the pending closing. You will need to submit an earnest money deposit that is equal to one percent of the list price (minimum of $500 and maximum of $2,000). HUD estimates that the out of pocket cost for closing and utility activations could equal anywhere from $1,110 to $3,460 up front. The entire process is expected to take 45 to 75 days to reach closing. 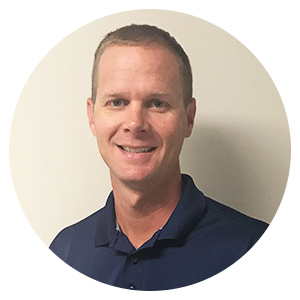 Take a look at our 203k FHA Loan article and find out how you can use this type of financing to fix up a HUD property! Purchasing a home through the Good Neighbor Next Door Program is a great way to save thousands of dollars on your new home purchase. Unfortunately, it is only available for an extremely small section of the population. Be sure to investigate whether your employment would qualify you for this program so you can start hunting for the perfect Good Neighbor Next Door listings today. Do correctional officers qualify for the Good Neighbor Next Door Program? Correctional officers may qualify for the Good Neighbor Next Door Program. Is there a Good Neighbor Next Door Program for substitute teachers? Substitute teachers who are employed full-time and have an ongoing contract with a state-accredited public school or private school may qualify for the Good Neighbor Next Door program. What are HUD revitalization areas? These are geographic areas authorized by Congress as a part of the National Housing Act. They qualify based on the household income, homeownership rate, and the FHA-mortgage foreclosure activity in an area. Where can I view Good Neighbor Next Door listings? You can view Good Neighbor Next Door listings through the HUD Homestore website. You will simply need to filter the results to view eligible properties.